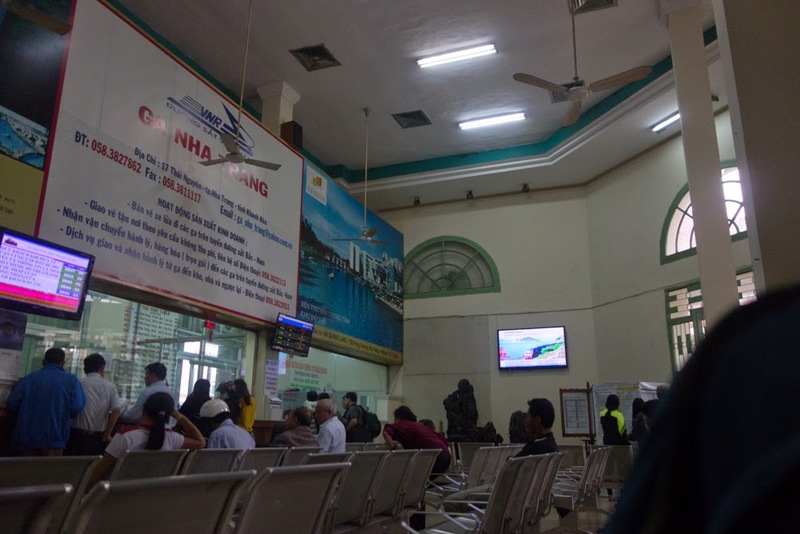 The journey from Nha Trang to Saigon takes about 8 hours. I had initially thought of doing another overnight journey, but the schedules were awkward, and I didn’t want to arrive in the wee early hours fo the morning, or leave in the middle of the night, so I bit the bullet and decided to ride out the journey form 8:00 am to 4:00 pm. I booked by tickets while still in the U.S. with a travel agent online. Though I paid a premium for this service, I'm glad I did it because the first-class sleepers were filled every time I rode the train. Though this was a day journey, I assumed I might want to sleep on the train, so I purchase a sleeping berth, and am very glad I did. After spend 2.5 hours in a soft seat from Hue to Da Nang, I never wanted to do that again. 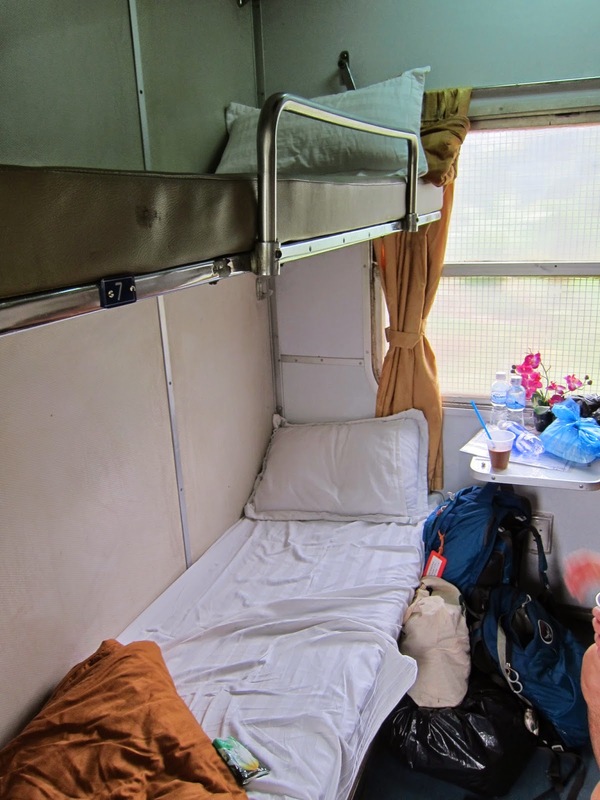 I was lucky to have a bed to rest in during the 8-hour journey, and my berth buddies, a young, English-speaking Vietnamese couple, were really cool, but the carriage itself was anything but first-class. 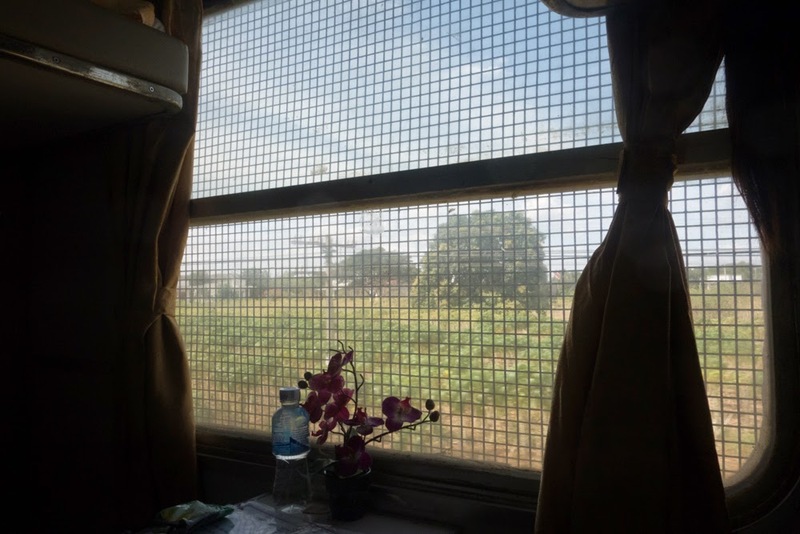 It was even grubbier than the train from Da Nang to Nha Trang, which the added feature of bars on all the windows, obstructing the view. 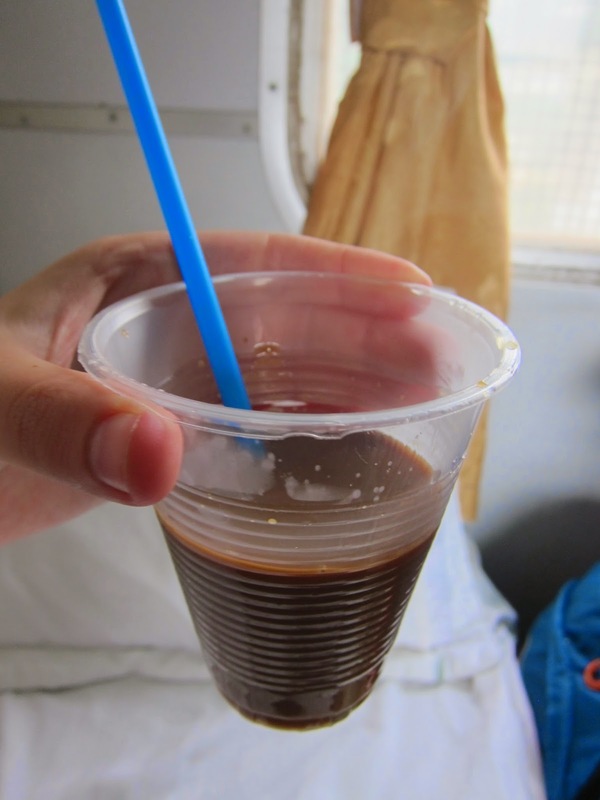 “I am on the train now and this is our last train ride in Vietnam. I am certainly grateful. I still love trains and prefer them to all other modes of transportation, but I have learned that I cannot sleep on them, and should not use them for overnight journeys. This was only a day journey, but a long one. 8:30-4:00 roughly. I reserved a sleeper car, anticipating that I would want to nap on board and I am so glad I did. After the first journey I worried that it was a waste of money, or that it would be awkward with two berth mates. 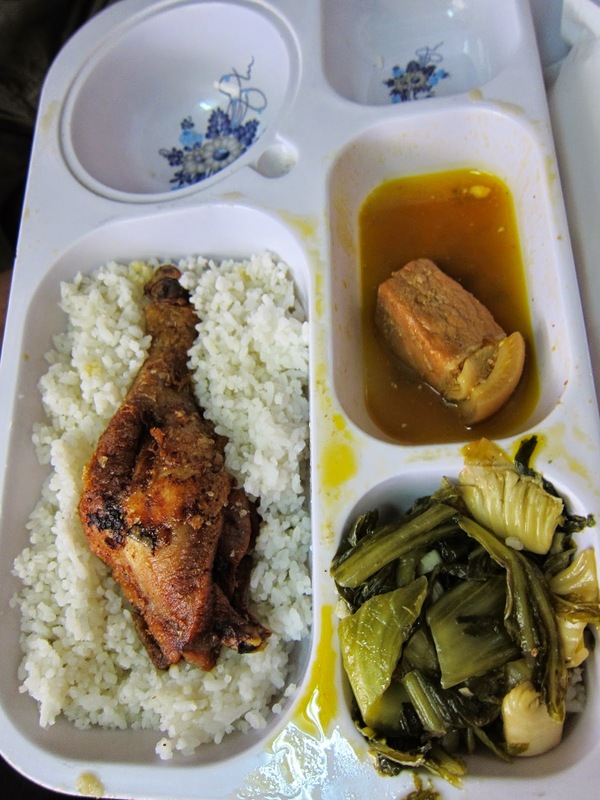 But after riding from Hue to Da Nang on the first-class seats, I realized that I made a good choice. The seats were so narrow, dirty, and uncomfortable that I could hardly enjoy the mere 2-hour journey. It was crowded and I felt people in my space all the time. Better to have room to deal with two strangers than 60. It ended up being the right choice. 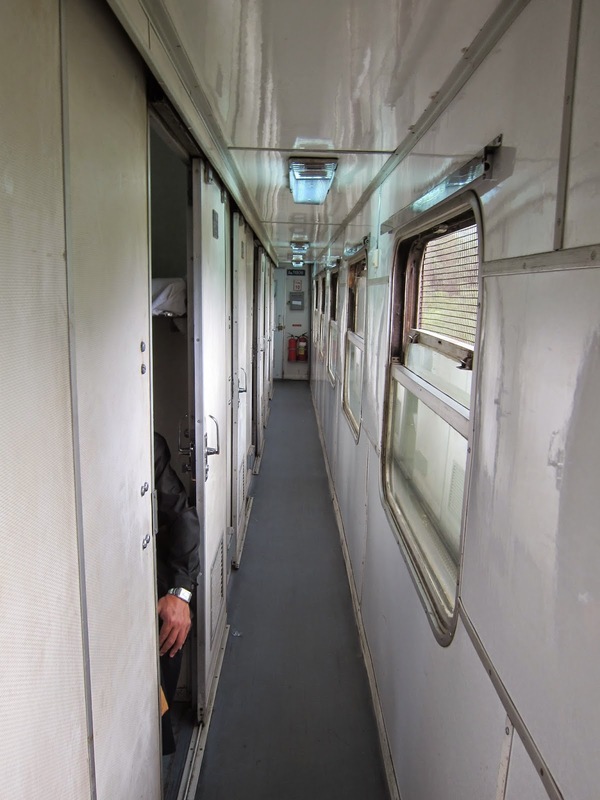 The only gripe is that our train carriage is physically inferior to the first one we boarded in Hanoi. It seems that the further south we go the worse the condition of the trains gets. 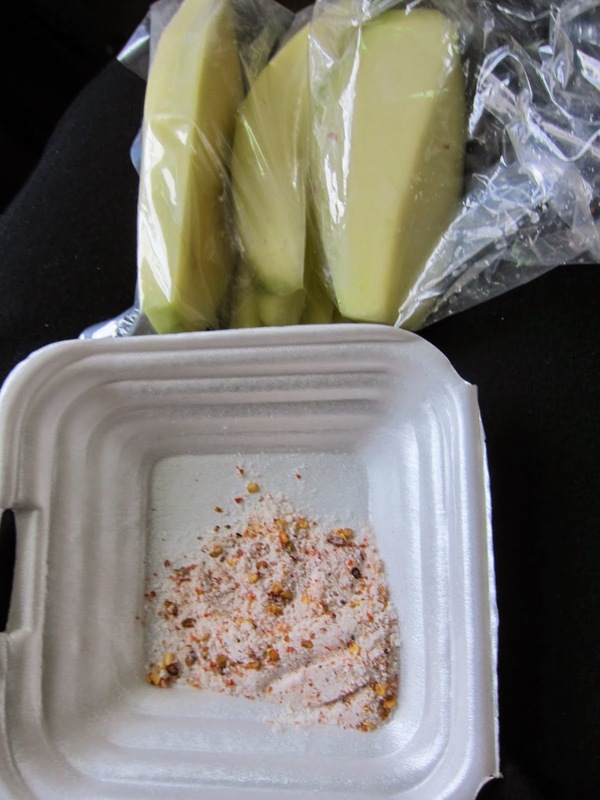 DaNang to Nha Trang was only slightly worse than Hanoi to Hue. With no small reading lights, no TV, no trashcan, and no storage under the bed. This train is of a completely different class. The table is much smaller, too small, in fact to do any real work. The walls are stained and old. The windows have cages on them, so it is not possible to look out into the countryside without seeing it through grid wires. Though I can feel the AC, there is an old, dusty fan overhead, probably not is use for the last few years. I believe this is an older carriage, perhaps one of the originals, and thus it has quite deteriorated. I was spoiled and naive to think that all the trains would be as nice as the first one we rode. But I don’t mind."